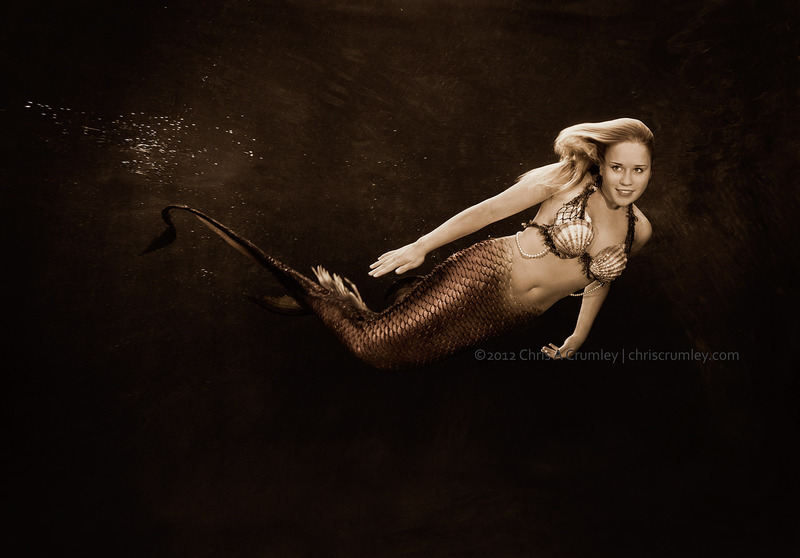 I'm doing several dozen test/coaching sessions a year for people who express interest in having a mermaid experience. I'm amazed at how quickly some people absorb what I call the "50 Key Techniques" to being a successful, attractive and realistic MerPerson. This 16-year-old, Lydia (accompanied by her aunt Johanna - studio rules) was one of the fastest learners I've encountered and absorbed most of it in one 90-minute session. Lydia is an active swimmer, diver and lifeguard in after-school events and that surely has something to do with it.